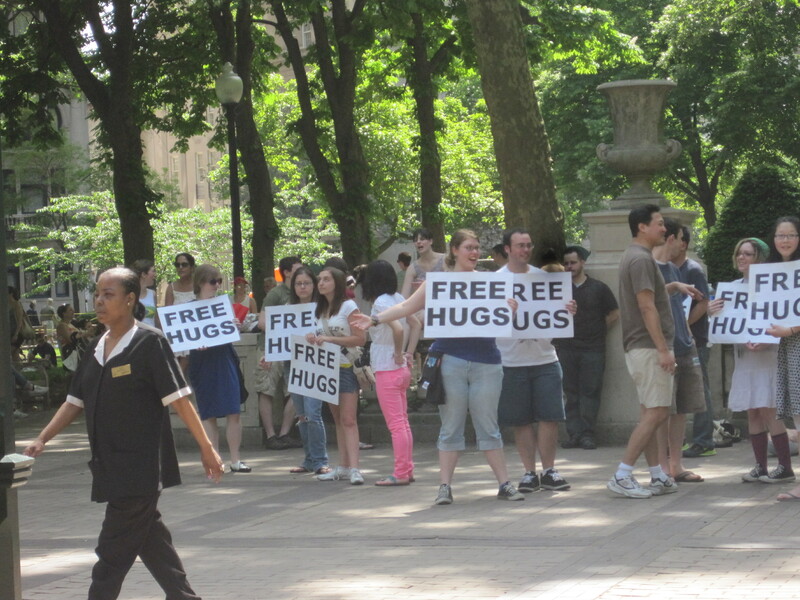 As we watched the Free Hug people try to hand out hugs, another group walked by with signs proclaiming “Smile, you are beautiful.” The smile people and the hug people met in a giant happy, smiley hug-atopia (it was amazing). All over Philadelphia there are signs giving you information about historic sites and houses. But this person decided to go the sarcastic route with their historical marker! A fun little guy to brighten your day! 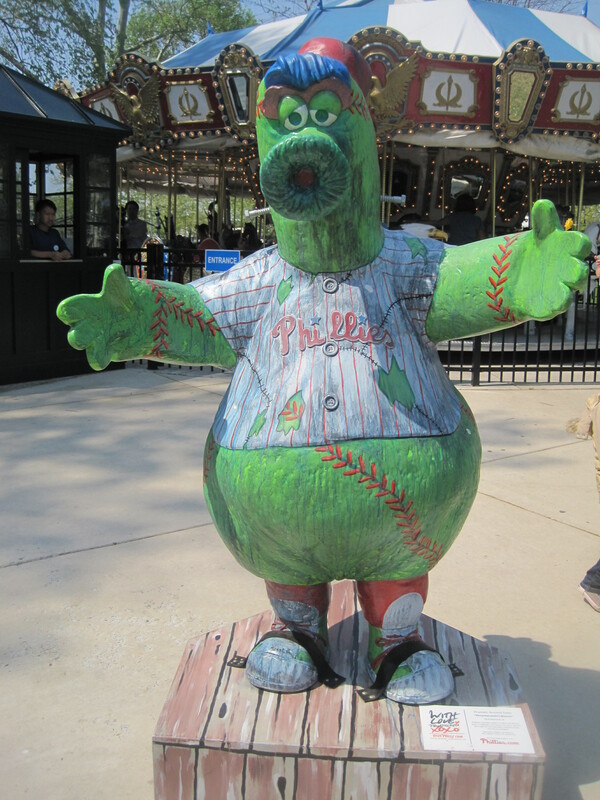 Statues of the Phillies Phanatic can be found all over the city. 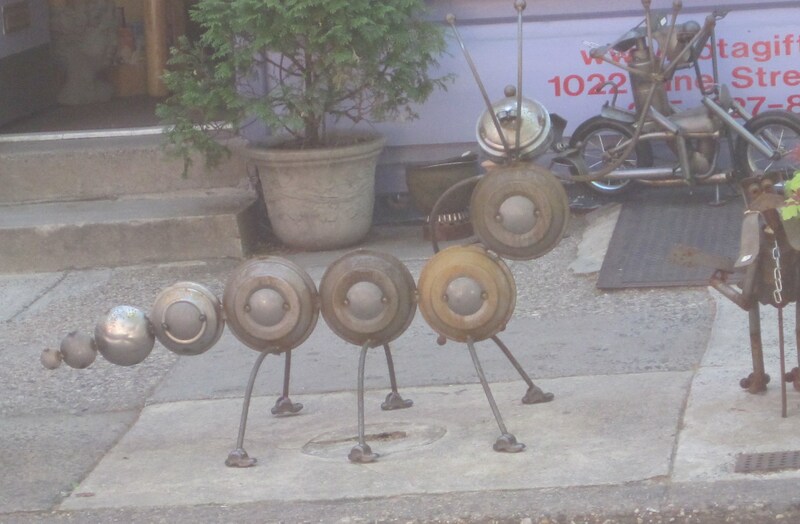 I’m thinking its a form of artwork. They are all made a little differently and this one looked like Franenstien-Phanatic! 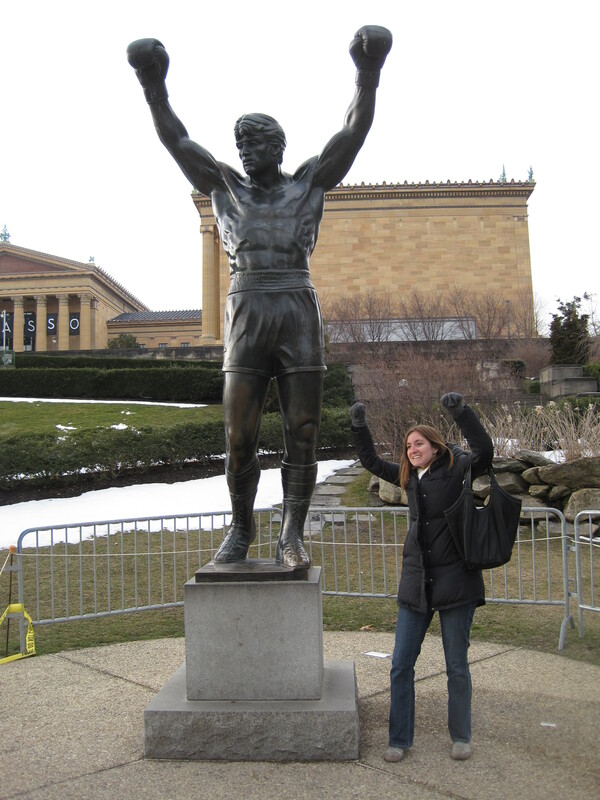 Go Phillies! Franklin Park, between 6th and 7th. 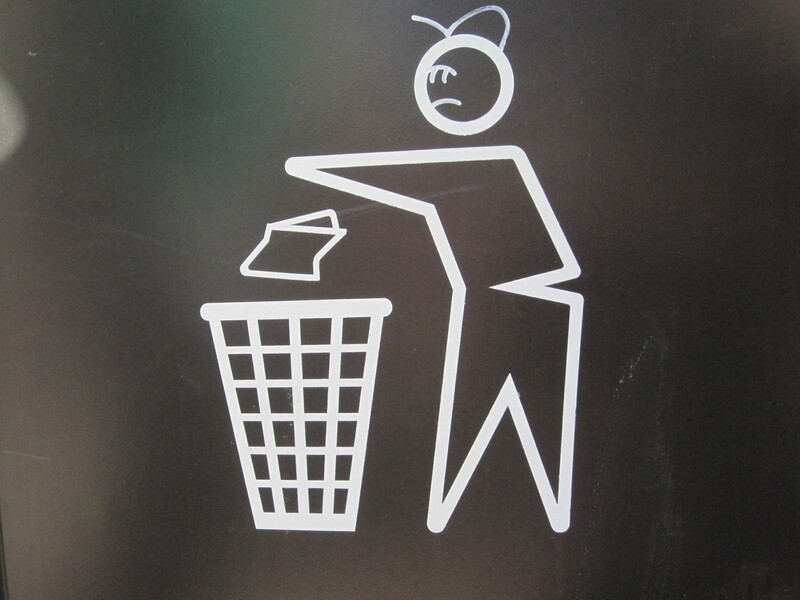 The stick figure on this trash can is very upset about having to throw away his trash! 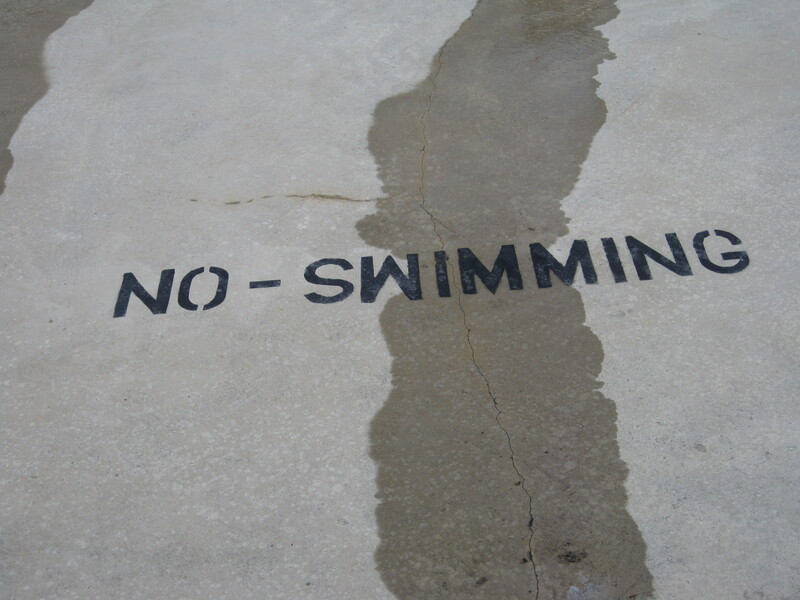 No Swimming!! This means YOU!